'Here's a group picture of four bunnies. 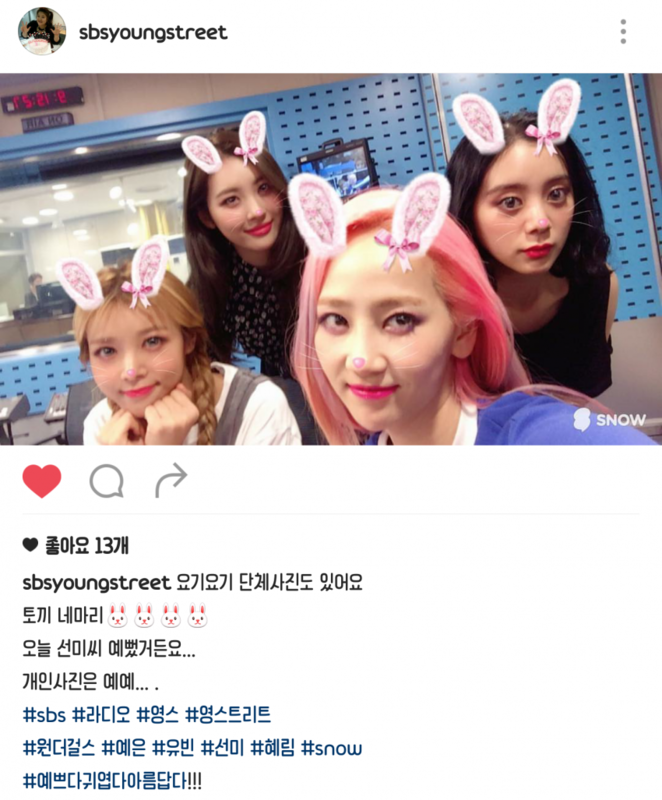 Sunmi was so pretty today.. Eventhough her selfie was.."
-Yeeun looks pretty in her selfie.. 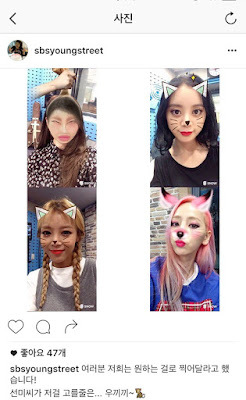 The filter suits her really well..
-Is the one who has braided hair Yubin? -Whoa.. Yeeun looks so pretty.. 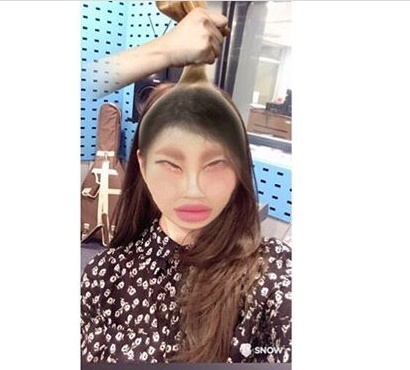 I think she's the one who invented that filter..
-As expected.. Pretty people will still look pretty no matter what filter do they use..
-Whoa.. It's my first time seeing someone who manages to still look pretty with that filter.. Yeeun is so amazing..
-Sunmi is so cuteㅋㅋㅋ Meanwhile.. Yeeun makes me scream..